Take one of the flights to Cozumel and don´t do any diving or snorkeling, is to miss the opportunity to do it in one of the best places worldwide to admire marine life. This is thanks to its great Mesoamerican reef, which forms the largest system of coral reefs in the west and the second largest in the world, second only to the Great Barrier Reef in Oceania that is why we bring you the best places to snorkel and dive in your next visit. The waters of El Cielo are so transparent and shallow, which makes this beach ideal for the realization of the two activities. You will hardly find in the Caribbean a seabed with more starfish than in El Cielo, in whose waters you can also see the rays with their wide stretched mantles and the splendor of the underwater life of the place, you can reach the beach in boats that depart from the pier of the city of San Miguel de Cozumel. It is located in the Arrecifes de Cozumel National Park; its fauna is rich in crustaceans, rays, snails, sea horses, sharks, blue sharks and a variety of multicolored fish. The caves that form the coral reefs in Palancar and the fantastic waterfalls will leave you amazed; the most comfortable access is by boat, although it is recommended only for divers and swimmers with a little more experience. To get to Dzul Ha beach, you do not need a boat near San Miguel, its sand is thick and it is formed by the remains of corals, pieces of sea urchins and other marine species. Although it is a popular beach, it is not always full of tourists, which makes it a much more pleasant experience, at only 3 or 4 meters of total depth of its waters you can see rays, lobsters, turtles, crabs, various types of fish and other creatures of marine fauna. 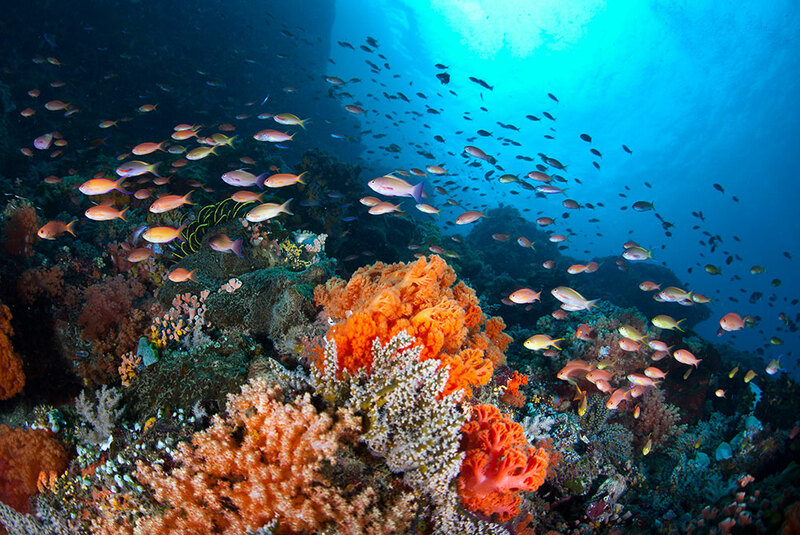 Paradise is an area with reefs, divided into the north and south, in the first of them there are 2 reefs with depths of up to 17 meters, while the second has 3 that can reach 14 meters deep. Paradise Reef is perfect for beginners in diving who will be able to see a rich variety of marine species such as fish, angelfish, sea sponges, sea cucumbers, corals and mollusks. 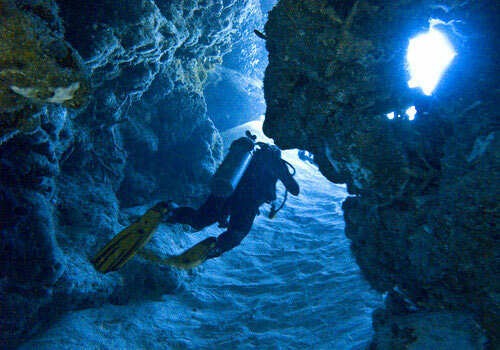 This place is a vertical wall of hundreds of meters, which is one of the most exclusive points in Cozumel for diving in deep immersion of medium or experienced level. The wall is reached by boat and is not far from the coast of San Miguel de Cozumel, diving in Santa Rosa gives the feeling of being “flying” in front of a cliff, while turtles, mero fish, parrotfish, toadfish and angel’s queen fish, appear. The clear waters of the island allow seeing at great depth at any time of day, so when you take one of the flights to Cozumel, the least is to worry about the right time to dive or snorkel, you just have to decide where you want to enjoy of a perfect day.